A fight involving two city residents resulted in two arrests Thursday night. One of which had multiple warrants. According to Detective John Robinson, 2 males were arguing with a 31-year-old male victim about his girlfriend in the parking lot of 350 Rodman Street. One of the males, 25 year old Peter J. Miranda of 1839 Meridian Street, pulled out a knife and waved it toward the victim. 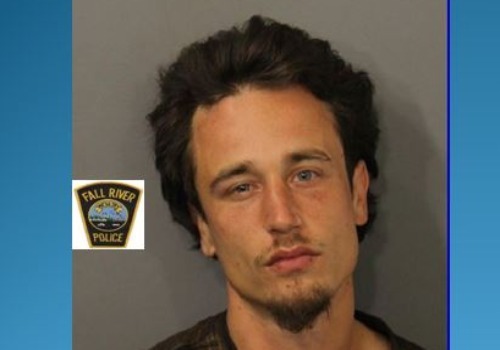 The second suspect, David Occhino, 30, of 1809 Pleasant Street, pushed the victim. Robinson stated that When police arrived, Miranda was detained and the knife was recovered. Occhino fled and was apprehended inside a Plymouth Avenue restaurant. Once Occhino was apprehended, it was discovered that there was a warrant out for his arrest. The warrant out of Florida consisted of Battery on a Law Enforcement Officer, Resisting Officer with violence, Fleeing from an Officer/no regard, burglary, possession of burglarious tools, and grand theft motor vehicle was also located. The victim was uninjured during the assault.